Ward Apparel is the #1 distributor of fine uniforms & work apparel in the Lima, Ohio area. They do gorgeous custom embroidery and sell all sorts of scrubs and other workwear. Ward Apparel needed a facelift and way to represent themselves online that reflected their offline business. Like other websites we build, we focused first and foremost on the content. We had to learn the industry and the lingo and what Ward Apparel does that sets them apart. This took a lot of time. Luckily, we can rapidly build websites with WordPress and WooCommerce. The time we save on web development allows us to spend more time on researching the industry and crafting excellent content. For an example, check out their blog (http://www.wardapparel.com/blog/). There are many informative and (we hope) entertaining posts there, including stuff about superbugs. Not many people know that medical scrubs can harbor superbugs like MRSA – even after being cleaned in the laundry. There’s a ton of research being done and “weapons” deployed against these superbugs, including bacteria-resistant clothing. The blog at Ward Apparel is a useful hub of learning for this sort of thing. We’re not saying they are the definitive source, but they are a great source of information – and one that can inform and eventually drive people to buy scrubs and other medical apparel. Ward Apparel has a facility where you can get sized for scrubs and check out and feel all the various materials. Sometimes shopping online is ok, but in other cases it’s better to see and feel things in person. 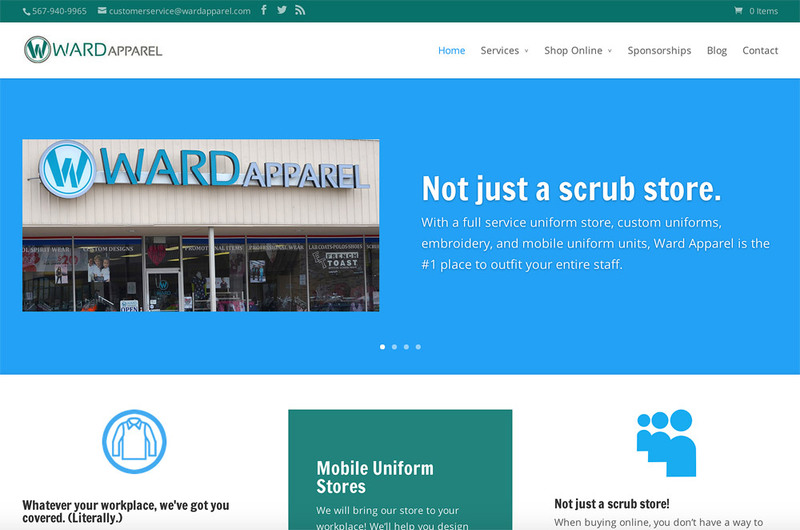 So if you’re in need of medical scrubs or other workwear, check out Ward Apparel! Please spread the word because they’re great folks who do a lot of good in the region.